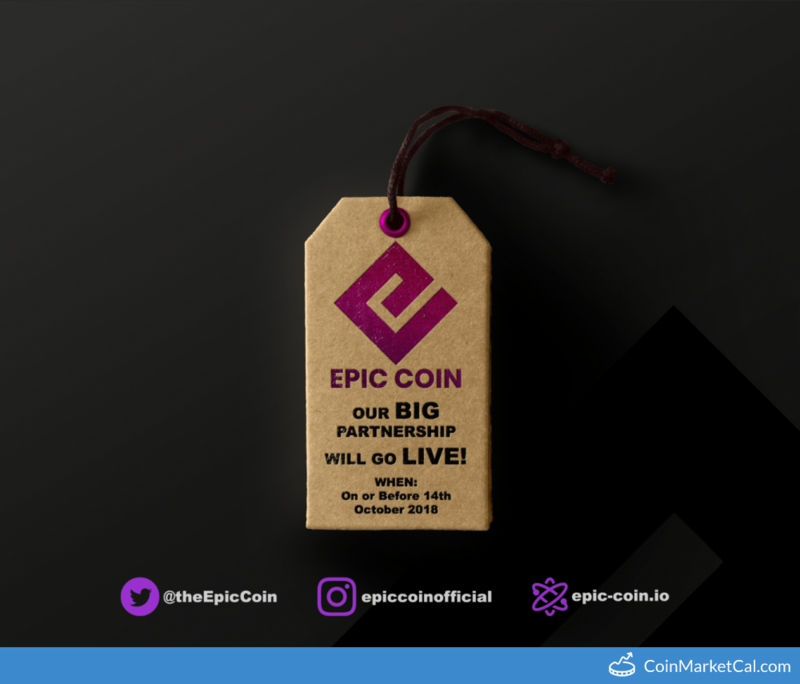 Epic (EPIC) - Events, Price, Market Cap, Supply, Exchanges and more! 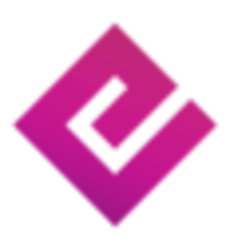 EPIC is a decentralized, ​peer-to-peer transactional,​ community-oriented cryptocurrency. EPIC is designed for sustainable, realistic returns on investments for our community. 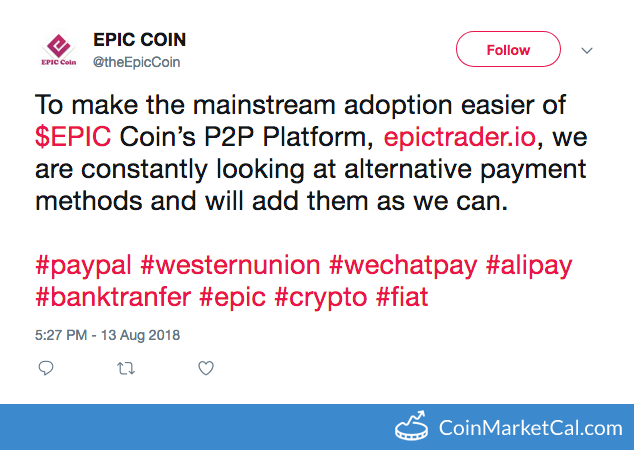 In order to solve one of cryptocurrencies largest problems, real world integration, we are utilizing peer-to-peer transaction capabilities on our EPIC P2P Platform. 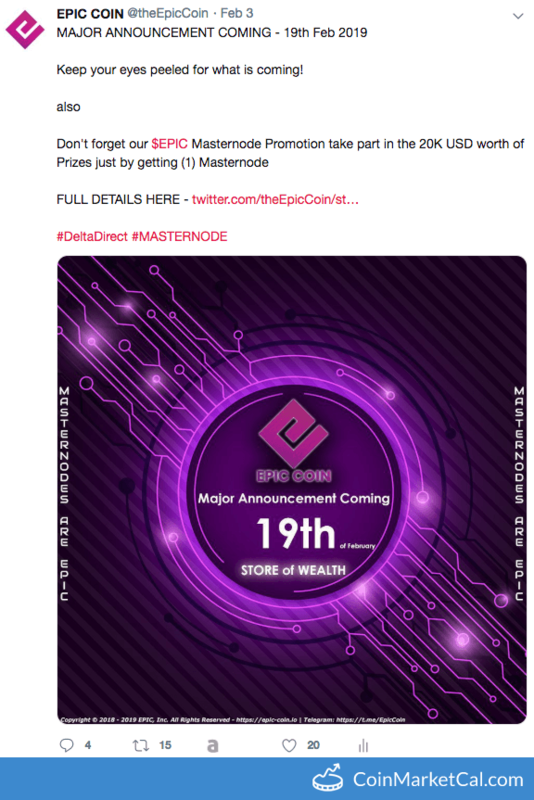 "EPIC Coin partnership/merger to be announced." 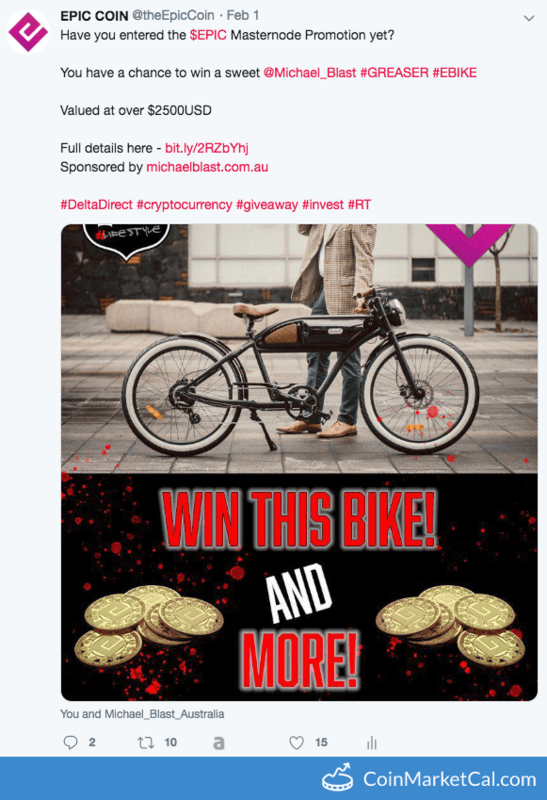 EPIC Coin swaps to the LPC codebase, which is a fork of PIVX. ETA on or before September 30th. 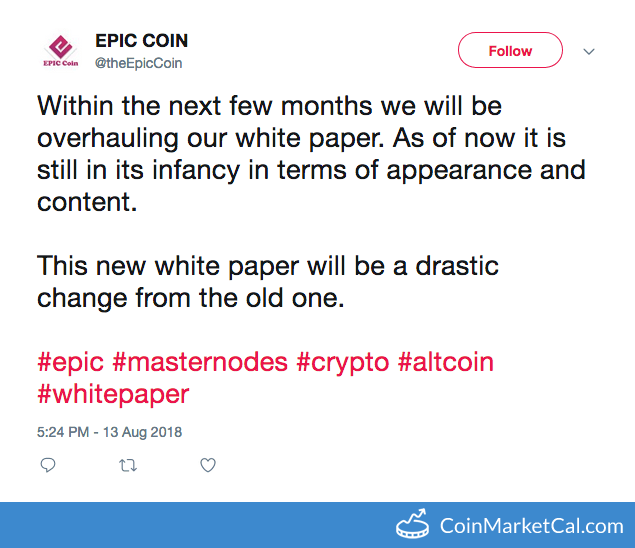 New EPIC Coin wallets with cool features on Windows, MAC, and Linux. ETA on or before September 30th.